Exactly a week ago, I was invited to the launch of Posh Nails new Manicure and Pedicure service powered by GlutaMAX. I was very excited to attend the event because Posh Nails decided to have the launch of their new service in an afternoon of dancing. It's been ages since the last time I joined an aerobics class so when I heard that it will be Zumba dancing, I immediately said yes to the invitation. 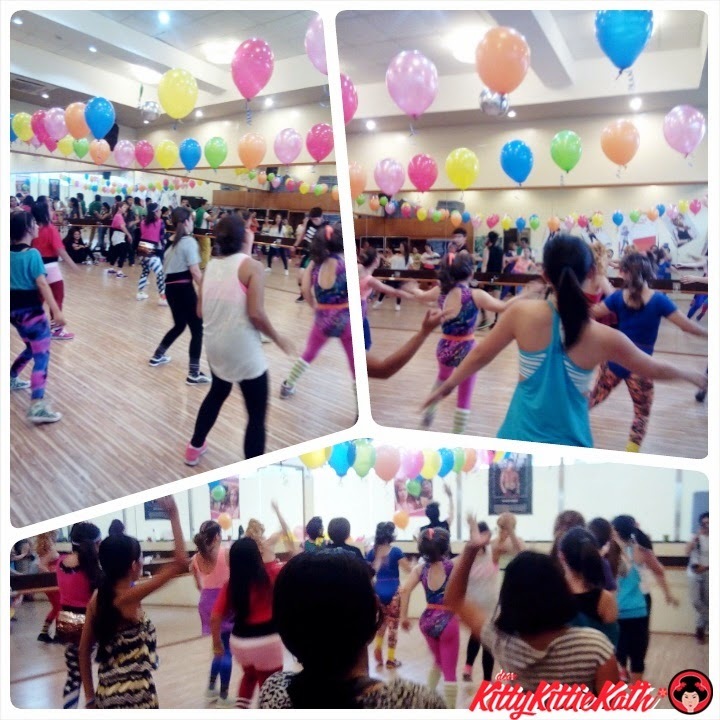 The theme of the Zumba party was throwback to the 80's and we were required to wear 80's outfit during the event. 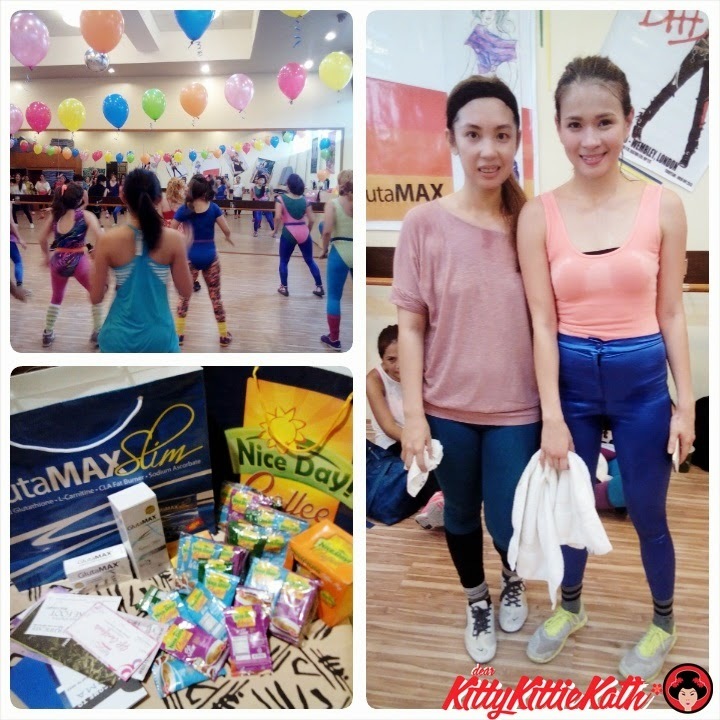 I really enjoyed the Zumba party, actually it's my first time to attend a Zumba event. It's an afternoon of 80's music and the dance moves really made me sweat it all out! So before I share with you Posh Nails Hand and Foot Spa's newest offering that will make your hands and feet pampered to a new level, click CONTINUE READING and smile! This new whitening themed service will be available at all 25 Posh Nails branches nationwide, is an advanced product designed to eliminate stains and keep your nails and skin lighter, smoother, and more youthful. Reveal whiter, smoother and glowing skin with this invigorating scrub. It instantly transforms dull, tired skin to reveal newer, brighter and more even skin complexion. An advanced product that has premium skin lightening essentials formulated by a respected Dermatologist, to safely provide maximum results. GlutaMAX makes skin intensely and evenly lighter and smoother while restoring its youthful vibrancy. SPF 15 for sun protection, Vitamine B3, glutathione and Algowhite. Extreme cleansing and brightening of nails. Thoroughly cleanses nail beds, whitens free-edges, non-abrasive formula. Brushes away yellow stains. Removes stains from dark polish, smoke, coloured food and dye. Whitens artificial and natural nails. Tea Tree Oil is a natural antiseptic. 1. Decide on the procedure you would like to have done. This service comes with a price tag of P675 if it’s for the feet and P600 if it’s for the hands. If you opt to have both your hands and feet treated, the cost will be a total of P1, 275. 2. Enjoy a cup of coffee. Posh Nails has paired a cup of Nice Day Coffee White with your procedure. This 5-in-1 coffee mix contains glutathione and collagen and is designed to lighten the skin, making it more radiant with continued intake. The amino acids in the glutathione have antioxidant properties, improve your immune function, and help your body metabolize toxins and carcinogens. The glutathione also prevents your skin from producing melanin, keeping it lighter. Collagen, on the other hand, keeps your skin hydrated. Now your hands or feet are undergo an exfoliating scrub, but the type used for this procedure is particularly invigorating, the better to reveal whiter, smoother skin that glows. It sloughs off dull skin to reveal the newer, brighter layer beneath, which has a more even complexion. 4. Relax as you get your hand or foot spa. Don’t you just love the sensation as your nails are given a full cleaning that leaves your tips and toes feeling fresh? To top it off, you’ll get a quick hand or foot massage that will leave you feeling deliciously boneless. 5. Go through the nail whitening procedure. This is a three-step process, and you’ll already have gone through the first with the scrub. Next up is the Whitening Lotion Powered by GlutaMAX. This advanced product made with premium skin lightening essentials brightens and smoothens out the skin, restoring its youthful vibrancy. It contains SPF 15, Vitamin B3, glutathione, and Algowhite, and it was carefully formulated by a dermatologist so that it would be both safe and effective. Once this step is done, your nails will be covered in Cuccio Sicilian Nail Whitening Paste, which is formulated for extreme cleansing and nail brightening and works on both artificial and natural nails. It thoroughly cleanses your nail beds, whitens free-edges, and is non-abrasive so that yellow stains can be brushed away and stains from dark polish, smoking, colored food and dye, and more can be removed. The paste contains tea tree oil, which serves as a natural antiseptic. Once your nails have been treated, you can glory in your newly brightened nails and have them coated in a clear polish or done up in French tips, or you can choose from the wide selection of imported polish available at Posh Nails and have your tips and toes painted in any color that strikes your fancy. The party already started when I arrived at Plana Forma in Centris Walk. All the participants were rocking their 80's Zumba outfit to the tune of Michael Jackson and Vanilla Ice's dance hits. Thank you so much to all the sponsors who made this event possible. Thank you so much Posh Nails Hand and Foot Spa for having me. I'm excited to try this new offering that I'm sure nail care enthusiasts will love. the event looks so inviting and fun! The events looks so much fun! too bad i wasn't able to make it! It would have been nice to see my family friend LJ! She's definitely getting prettier! :) I'll be sure to try the new Posh nails whitening manicure! Looks so much fun!I might try this when I come back to Manila. You always attending beauty events and this one seems fun to do the fitness moves. Zumba is so popular now. It really is an effective way to launch an event. that event looks really great.hope you had a great time there. The event was one of a kind, i mean it was extra ordinary and refreshing. cool,., such A fun event! plus you get to meet the pretty LJ Reyes!! That was a fun event! 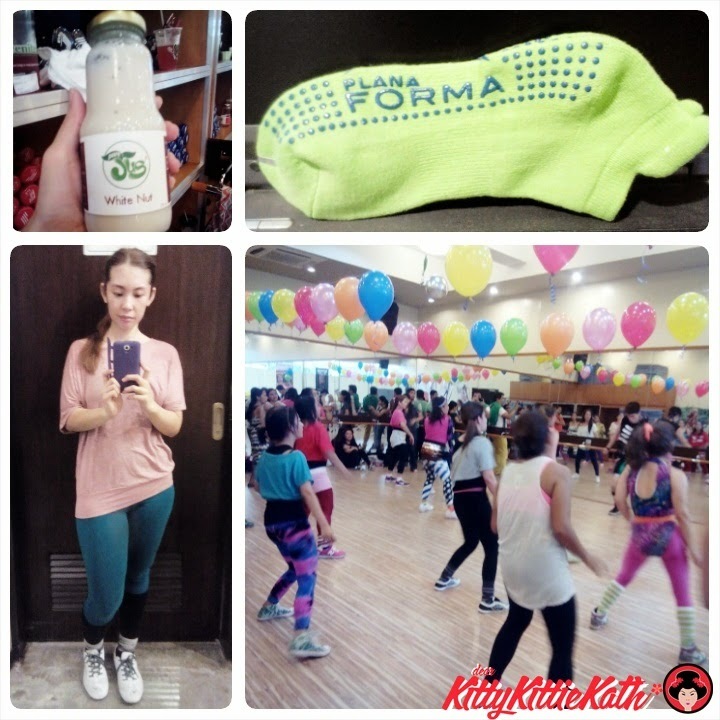 I've tried Planaforma once at Centris.